Our work utilizes the fascinating characteristics of intestinal stem cells to address fundamental questions in cell and cancer biology: How do cells identify, measure, and respond to each other and to their environment? What are the signals that control the renewal and regeneration of tissues? How do these signals go wrong in cancer? Our long-term goal is to uncover an underlying circuit theory behind these behaviors – a set of predictive principles that tell us how complex functionality arises from simpler biological components. We have a particular interest in kinase networks that regulate healthy tissue homeostasis and become damaged in cancer. 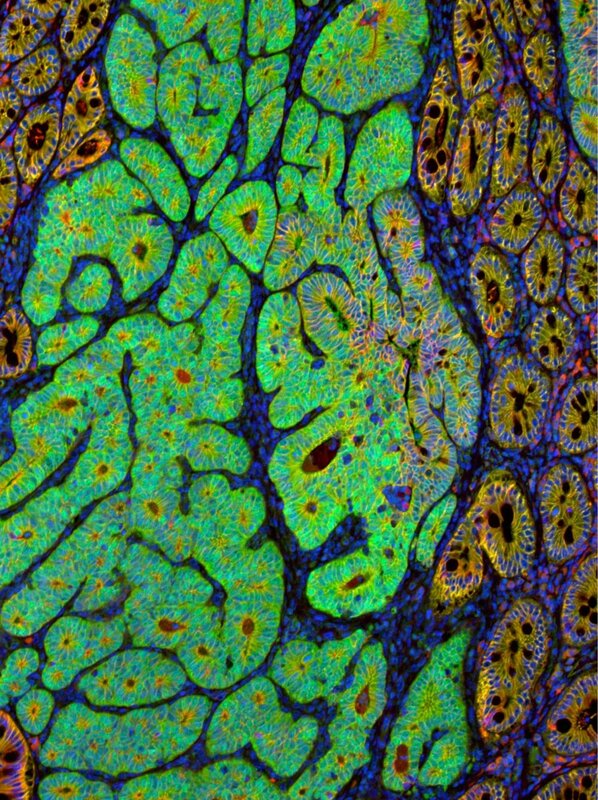 Through our quantitative high-throughput imaging and drug discovery efforts, we are finding new ways to understand and repair these networks. 1. Phenomics of the human kinome in colonic stem cells. Understanding the relationship of genotype to phenotype is fundamental to comprehending living systems. This is a complex problem because phenotype is not simply one parameter of a system but hundreds, if not thousands, of parameters connected to one another in unclear ways. Thus a high-dimensional characterization is needed in studying gene function. The human kinome is highly studied, but most commonly in a one-gene-one-phenotype style. The goal of this project is to create a rich (high-dimensional) phenotypic description of each kinase in colonic stem cells and then to organize the entire kinome into groupings of similar function. We are validating functional groups through mechanistic studies in 2 and 3-D intestinal cell culture. This work will characterize kinase function in the intestinal epithelium and uncover new signals controlling tissue homeostasis. 2: GSK-3 signaling in crypt maintenance and drug resistance. 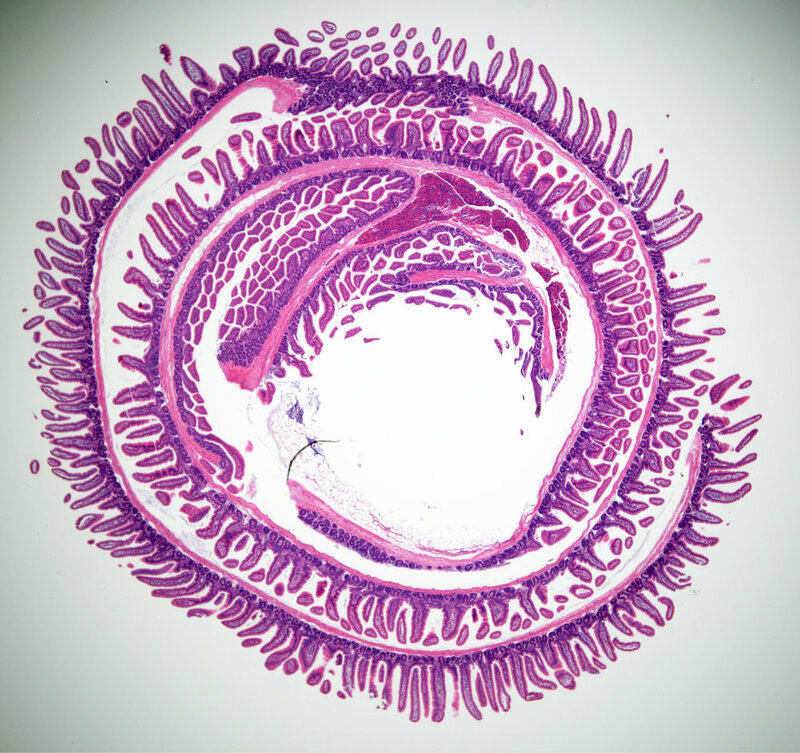 Evidence suggests the protein kinase, GSK-3, is highly regulated in the intestinal stem cell niche in vivo. Additionally, our studies have shown decreased GSK-3 activity stimulates stem cell maintenance and provides significant drug resistance. To understand the role of GSK-3 activity in intestinal crypt homeostasis and drug response, we are developing a single cell live reporter for GSK-3 activity. Using time-lapse microscopy, we are exploring the dynamics of GSK-3 activity in the maintenance of the stem cell niche and identifing microenvironmental signals that regulate GSK-3 and produce drug resistance. The goal is to uncover molecular mechanisms by which epithelia self-organize and evade cytotoxic drugs. 3: Discovery and characterization of small molecule kinase activators. Small molecule inhibition of kinase activity is well established as a fruitful therapeutic strategy. Yet, widely neglected is the development of small molecule kinase activators for rationally selected targets. GSK-3 is an outstanding candidate for small molecule activation due to its many allosteric pockets and its inactivation in various disease states. We are conducting a two-step (enzymatic followed by cell-based imaging) high throughput screen of >250,000 compounds to identify small molecule activators of GSK-3. Utilizing a novel high-dimensional structure-activity relationship (HD-SAR) approach, we are categorizing the compounds into three major classes: 1) proliferation, 2) metabolism, and 3) cytoskeleton. These compounds will be valuable both as tools for biologists and as potential lead compounds for cancer drug development. Assistant Professor of Cellular and Molecular Medicine and the UA Cancer Center. Curtis received his B.S. in 2000 from Baylor University where he concentrated in Biology and Chemistry. Following undergrad, he was a technician for 2 years at Baylor College of Medicine in the laboratory of Dr. Adrian Lee studying growth factor signaling in breast cancer. He received his Ph.D. in 2010 from Vanderbilt University in Cell and Developmental Biology under Dr. Ethan Lee. In graduate school, he discovered a novel therapeutic for the treatment of colon cancer. He conducted postdoctoral studies as an American Cancer Society Fellow at University of Texas Southwestern in the laboratories of Dr. Steven Altschuler and Dr. Lani Wu (now at UCSF). 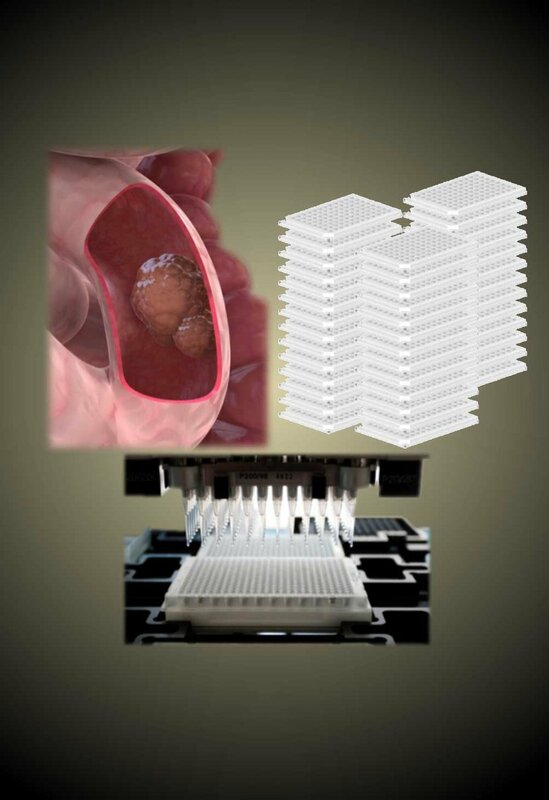 There he developed a high throughput method for culturing intestinal stem cells combined with automated cell imaging. Using these approaches, he discovered novel drug combinations for the treatment colon cancer. While at UT Southwestern, Curtis received a NIH Pathway to Independence Award with additional training in kinase biochemistry in the lab of Dr. Melanie Cobb. In 2017, Curtis took a position as Assistant Professor in the Department of Cellular and Molecular Medicine at the University of Arizona. He is also a member of the BIO5 Institute and the University of Arizona Cancer Center. Elaheh graduated from Alzahra University with a B.S in Physics in 2009. She received her Master’s degree in Plasma Engineering from Shahid Beshti University in 2012. During her Master study and for a year afterward as a research assistant she designed different lab on a chip microstructures including biosensor, magnetic mixer, electro-wetting display and tunable lenses. Then, she joined Dr. Ashok Prasad lab in Colorado State University as a PhD student where she developed different cell shape and texture quantification methods. Using different data analysis and machine learning methods she predicted invasiveness of cancer cells with high accuracy using their shape information. She started her postdoctoral program in 2018 in Thorne lab. She loves to dance and watercolor paint in her free time. Taylor is an undergraduate student at the University of Arizona. She will be graduating in May of 2019 and will be receiving a B.S. in Health Sciences, with a major in Physiology and a minor in Biochemistry. She is a native to Tucson and loves to go on hikes during her free time. This is her first research experience and she is eager to a begin her journey into the medical field. Carly received her B.S. in Molecular and Cellular Biology from the University of Arizona in 2017. During her time, she investigated the long-term clinical signs of frailty syndrome in mice infected with cytomegalovirus under the direction of Dr. Megan Smithey in the Nikolich-Žugich lab. Her research experience, combined with classes in cancer biology, led her to pursue her doctorate at the University of Arizona. 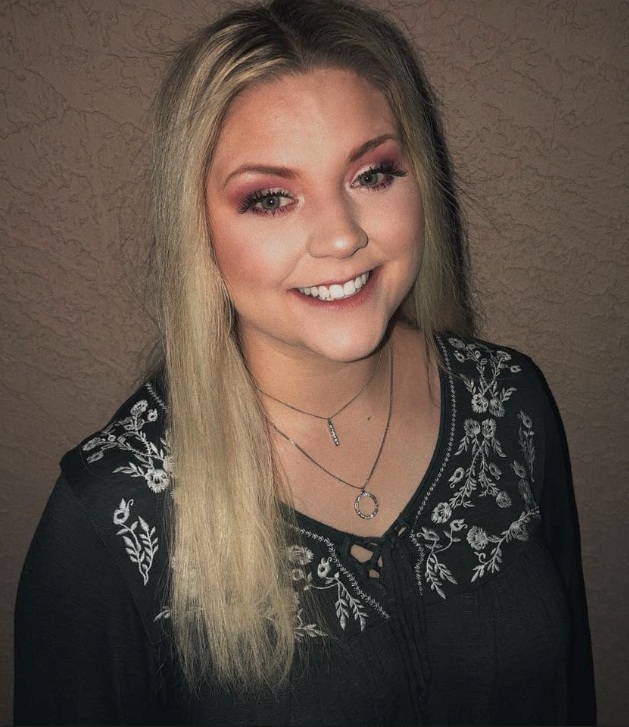 She is currently a first year graduate student in the Arizona Biological and Biomedical Sciences program, and working towards her doctorate in Cancer Biology in the Thorne lab. In her free time Carly loves to read, watch TV series, and play video games. She also enjoys hiking with her puppy, Podrick. Mary Jo graduated from The University of Arizona in 2014 with a PhD in Nutritional Sciences minor in Molecular and Cellular Biology. Under the mentorship of Dr. Emmanuelle J. Meuillet, she studied how the glucose-lowering drug metformin inhibits fatty acid synthesis when cholesterol is present in pancreatic tumor cells. Her interest in lipid metabolism led her to a postdoctoral fellowship at UT Southwestern Medical Center where she was mentored by Nobel Laureates Drs. Michael S. Brown and Joseph L. Goldstein and by Dr. Luke J. Engelking. At UT Southwestern, she studied the molecular biology and biochemistry of lipid regulation by the liver and the small the intestine, which exposed her to the novel technique of growing liver cells and small intestinal cells in 3D. In 2017, she started a postdoctoral fellowship in the Thorne Lab. Mary Jo loves to play racquetball during her spare time. David received his B.S in Mathematics with minors in Computer Science and Political Science from the University of Arizona in 2014. He then completed a Certification in Biotechnology and interned in Dr. S. P. Stock’s lab studying Pir-like toxins under the guidance of Dr. Anais Castagnola and proteome analysis of secondary metabolite production. He then worked in Dr. Ronald L. Heimark’s lab, where he learned about lncRNAs. After working in industry as a microtomist, his interests in mathematics and biology led him back to research and considering the questions of how genetic and environmental changes affect system dynamics and morphologies. He is currently a student in the Applied Biosciences program, pursuing a PSM in Molecular and Cellular Biology. In his free time, he enjoys dancing, cooking, and learning to play his piano and guitar. Sylvestor graduated from The University of Arizona in 2013 with a joint PhD in Biochemistry/Molecular and Cellular Biology. In the lab of Dr. Emmanuelle J. Meuillet, his project involved drug discovery and development targeting the pleckstrin homology domains of a variety of different proteins which are dysregulated in cancer, including Akt, Gab1, and TIAM-1. He also worked at MD Anderson in Houston, Tx, in the lab of Dr. Garth Powis where he continued his work on cancer drug development. In 2015, he entered medical school at the University of Arizona with the ultimate goal of becoming a physician-scientist. Sylvestor will be starting his residency in Internal Medicine at the University of Arizona, Tucson, in July 2019 and plans to enter into a Gastroenterology fellowship in the future. He is a member of the San Carlos Apache Tribe and loves spending his spare time exploring the outdoors on his reservation. He enjoys playing racquetball and also plays a variety of different instruments, including the piano, clarinet, saxophone, guitar, and bass guitar. Reeba graduated from Arizona State University with a B.S. in Biological Sciences (Genetics, Cell, and Developmental Biology) in 2014. She then received her Master’s degree in Cellular and Molecular Medicine from the University of Arizona in 2018. As a Master student, Reeba joined Dr. Cynthia Miranti’s lab to investigate the survival pathways induced by various extracellular matrices (i.e., laminin and collagen) in castration-resistant prostate cancer cells that result in drug resistance. She is now pursuing her doctorate in Cancer Biology at the University of Arizona in the Thorne Lab. In her free time, she loves to read, do photography, and watch movies. We have opportunities for Ph.D. students to train in the Thorne Lab. If you are interested in our research, email Dr. Thorne or drop by and chat! We are always looking for talented and enthusiastic postdocs with strong training as experimentalists or theorists. Candidates with any combination of skills in organoid culture, biochemistry, drug discovery, machine learning, signal processing, or mathematical modeling are encouraged to contact Dr. Thorne. Check out why we think Tucson and U of A are great places to do science. Thorne, C. A., I. Chen, L. E. Sanman, M. H. Cobb, L. F. Wu, and S. J. Altschuler, "Enteroid monolayers reveal an autonomous WNT and BMP circuit controlling intestinal epithelial growth and organization. ", Dev Cell. 2018 Mar 12;44(5):624-633.e4. PubMed PMID: 29503158.